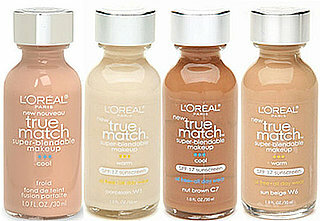 Gotta Have It or Live Without It: L’Oreal True Match Foundation! Hey, everyone! Happy Wednesday! I hope your weeks are going great so far. Cody and I are finally beginning to settle down into our new apartment, though we still have plenty of decorating to do! (If you want to see a video tour of our new apartment, click here: https://psmeganelizabeth.wordpress.com/2014/06/22/my-first-video-upload-ever-new-apartment-tour/ ) We’ve been busy, but I did manage to get in one trip to Ulta this week and I finally jumped on the bandwagon and picked up the ever-so talked about L’Oreal True Match foundation. I had purchased one not too long ago, but unfortunately I’m terrible at judging colors and it was a little too dark, but will work well after I get back from Myrtle Beach with a tan. So I needed to get a color that matched me now so I could try it out for ya’ll! One of the things that I noticed right off the bat about this product was the bottle. I love it! I think it’s perfect for summer travels, it fits perfectly into any travel makeup bags that I have, which is a huge plus for me. I also love how the bottle itself is clean and professional looking. It doesn’t have pictures, fancy fonts, or crazy colors on it. Packaging like that can be cute, but this is just simple and to the point, which I think we can all appreciate! Now, on to the foundation talk… I highly recommend this product for anyone who’s having a tough time finding your perfect foundation shade. This line has a broad range of colors to choose from and, since the bottle is completely see through, you’re able to most accurately select the best color for yourself (even though I’m an idiot and still picked out the wrong color haha). This foundation goes on really smoothly and has a medium coverage finish to it. For myself, I went over a few spots with extra redness twice, but the first time around, it actually did really well in covering everything up! I apply this with my foundation brushes and I recommend that you do the same because it’s just gonna be a huuuge mess and not blend out well if you use your fingers! Let me warn you: after applying this, it’s shiny. It’s absolutely necessary that you go over with a setting powder. If you’re a one-stop-shop kinda girl, this isn’t the foundation for you because it does take some extra care to blend it out well and apply your powder over it. I did notice as well that, throughout the day, there was some extra oil coming through around my T-zone that I needed to touch up with powder. Nothing too bad, but it was a minor inconvenience. I do have extremely, extremely oily skin though, so for those of you with normal to dry skin, this would be fine for you! Final Verdict? It depends! I’m not gonna say this is the greatest foundation of life because I defiantly have some that I enjoy better, but this was nice! The price point was great, it’s readily available, easy to travel with, great shade range, and gives awesome coverage. My skin got greasy throughout the day, but it was nothing unmanageable. I won’t be pulling this out for everyday use, but it’s definitely going to be a great foundation to have in my arsenal. If you have oily skin like me, just be sure to bring your powder with you for touch ups! I do recommend this as a good drugstore foundation because it does just what it claims: it’s true matches to your skin! It held up well and I really don’t have too much to complain about. I wanted to try it for awhile and I’m glad I did! If you’ve tried this yourself, leave your thoughts down below so I can read ’em! 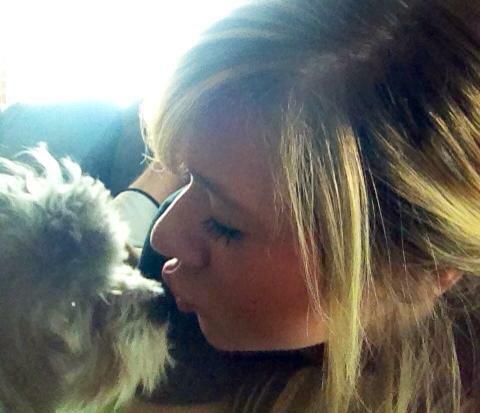 If you have any questions, ask away (: Thanks for reading and I’ll talk to ya’ll later!